How free is freedom in Angola? Henrique Luaty and other Angolan activists were arrested for allegedly planning to overthrow the President. His hunger strike and a growing public support can strong-arm the Angolan government into making way for a democratic transition. Português. Español. Luaty Beirao. RTP caption. All rights reserved. On the 20th of June, fifteen Angolan activists were arrested in Luanda accused of attempting to disrupt public order and security. Seventeen activists were formally indicted (two of them were placed under provisional liberty, Laurinda Gouveia and Rosa Conde) of planning a coup d’état to remove the President of Angola from power. According to the attorney general, General Joao Maria de Sousa, these acts constituted “a crime against the security of the state, and in consequence, a crime of rebellion”. From his words, one might think that the activists were distributing weapons or plotting a violent revolution. Far from it. They were exchanging opinions over two books, seemingly now a forbidden activity in Angola. The works in question were “From Dictatorship to Democracy, A Conceptual Framework for Liberation”, published by Gene Sharp in 1994, which suggests a set of nonviolent strategies to use against authoritarian regimes, and a book by an Angolan college teacher, Domingos da Cruz, titled “Tools to destroy a dictator and avoid a new dictatorship”. This incident reflects the shape of Angola´s “democracy”. Simple exchanges of opinions or a critical analysis of any sort is categorized as “rebellious”. The exercise of basic rights, such as the right to protest, to associate or simply to read have been labelled as subversive. Warrants and due process are not observed, and police searches and seizures are conducted without any legal basis. In short: the Angolan government is ruling through fear. The activists, of course, refuted the accusations: they were only meeting to discuss politics and (the lack of) human rights protection in Angola. 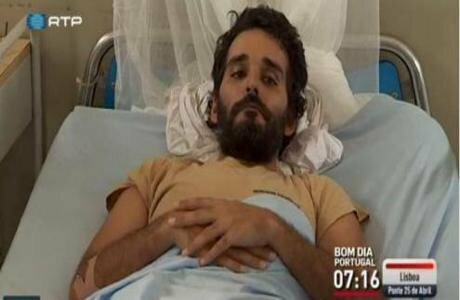 Having been placed in preventive detention for more than 90 days (20 June-20 September), the legal limit according to the Angolan law, several militants, amongst them, Luaty Beirão, started a hunger strike on the 21th of September to attract attention to their illegal detention. Beirão is not an anonymous figure, but the son of a once important figure in the Dos Santos regime, João Beirão. His father was the first director of FESA, the Eduardo dos Santos Foundation. Accused by many of being “a son of the regime”, he often argues that he “has a brain of his own, and that the actions of his father are not his”. Once the trial date was set for the 16th of November, the majority of the activists quitted the strike. Luaty Beirão, however, refused to quit, as he believes the situation has not changed. 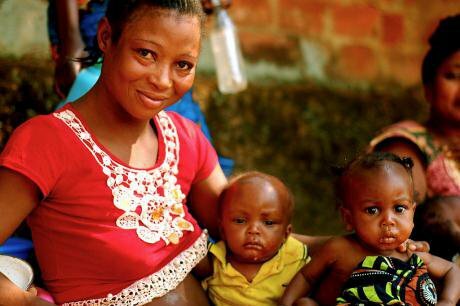 All the activists remain imprisoned and Angola refuses to respect their fundamental rights. In fact, the Supreme Court of Angola has yet to rule on a writ of habeas corpus presented on the 30th of September, which demanded that the 15 activists were taken before the court. The activists argue that their detention is unlawful and that it is not supported. In a precarious health state, Luaty has finally ended the hunger strike. In a letter addressed to his fellow activists made public on 27 of October, Luaty argues that his hunger strike was a victory, and that the actions of the 17 activists facing trial have successfully put Angola on the international community radar. As he graphically states, the “mask has fallen”. A boy with an empty wheelbarrow walks underneath an MPLA propaganda banner in the town of Menongue. Demotix. All rights reserved. The activists’ case has been broadcasted internationally and triggered several civil society and international NGOs protests, including Amnesty International, that has started a campaign against what certainly is a human rights violation. Several organizations worldwide are claiming that practices such as arbitrary arrests, the harassment and the intimidation of activists are halted, and that the right to freedom of association, assembly and expression in Angola is upheld. The Portuguese civil society is also paying close attention to the matter. In an open letter addressed to the Portuguese Foreign Affairs Minister, several intellectuals, artists and political figures, both national and international, have called for action. They demand from the Portuguese Government a proper response to the matter, one that puts an end to the illegal arrest of Luaty Beirão and the remaining 14 activists. Underlying that Luaty is not only an Angolan citizen, but also a Portuguese one, the subscribers remind Portugal of its duties. They argue that the Portuguese state has an “ethical, moral and constitutional” duty to protect its citizens. Claiming that Human Rights cannot rank lower than diplomatic relations nor political ideology, the letter underlines that Portugal cannot remain as a silent witness in what they believe does not fall short of “political arrests”. In this line, Pilar del Rio, the chair of the Saramago´s foundation, also addressed a letter to the president of Angola, asking him to save the life of Luaty Beirão and protect the freedom of expression of the 14 activists currently detained. Additionally, vigil concentrations took place both in Lisbon and Porto, on the 21 of October (called by “Liberdade aos Presos Políticos em Angola”) under the cry of “Libertad Já!” (Freedom Now!). Meanwhile in Angola, protests in support for the #Angola15 and against José Eduardo dos Santos are being forbidden on the grounds of being a “menace to public security”. Wikipedia Commons. Some rights reserved. Portugal has been providing the Angolan regime with what they needed the most: a layer of respectability. It is certainly true that this case entails historical, economic and cultural bonds that are not easy to contour. Obviously, Portugal’s economic dependence on Angola’s oil and other commodities makes things worse. However, the argument that the sovereignty of the states awards them a free pass to violate human rights does not hold anymore among the international community, despite the many cases that persist around the globe. Human rights are universal and political prisoners are political prisoners. Here, in Angola and anywhere in the world. The political contours of this case are unavoidable and Portugal cannot excuse itself by citing Angola’s judicial system (or lack of it). Portugal´s historical and traditional links with Angola are no excuse. In fact, such links should reinforce Portugal commitment to ensure that Angola moves beyond decades of kleptocracy. Portugal tends to confuse respect for subservience. One think is to respect Angola’s sovereignty, another to place it over the dignity of its citizens, and in this case, over Portugal’s duty to protect their nationals, at home or abroad. This is not only a moral obligation, but also a diplomatic duty. 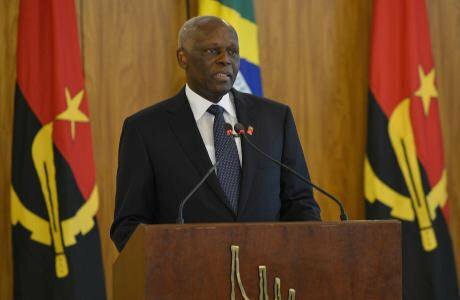 President of Angola, José Eduardo dos Santos. Wikimedia Commons. Luaty Beirão and his companions, also belonging like himself to the so-called “children of the regime”, have accomplished something unheard of in the history of Angola: to put its regime (locally and internationally) under public scrutiny. What begun as a solidarity wave has now become a true pro-democracy movement. The Angolan regime wrongly believed that they could quell the people through arms. It didn’t work during colonialism. It certainly will not work now. A lack of historical memory, together with disrespect for freedom and justice, ended up creating not one revolutionary, but thousands. As Luaty writes in his letter, “this time Angolans fight, in peace, for a true social transformation”. Gene Sharp writes in his book that “the often quoted phrase freedom is not free is true. [That] No outside force is coming to give oppressed people the freedom they so much want. People will have to learn how to take that freedom themselves. Easy it cannot be”. Activists in Angola have certainly made this idea their own. Self-sacrifice and non-violent strategies have been used and many paid a steep price for freedom. However, they should not be fully charged for enjoying something that we all have a right to. In a globalized and interconnected world, sovereignty must surely have limits. And those limits include democratic values and human rights. Luaty Beirão’s actions may be described by many as being nonsense, as a romantic gesture that cannot change anything. And yet for the first time since 2002, consensus around Mr. Dos Santos is crumbling. 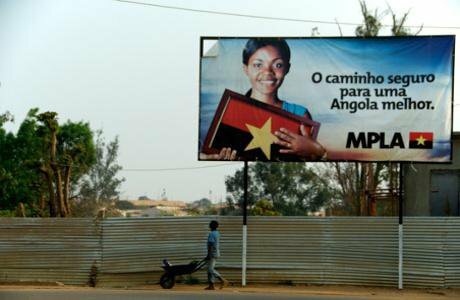 International campaigns are raising awareness over the true shape of Angola´s “democracy”. Political prisoners are being rightfully recognized as such and the MPLA and the government is increasingly losing its grip over Angolans hearts and minds. Protests in Luanda are being forbidden or repressed, however winds of change are blowing. Protests in Lisbon, the international echo of Luaty´s hunger strike and the joint declaration for the liberation of the 15 activists issued by the opposition are all signs that Angola conscience, and other countries stand, is changing. Thirty-six days of hunger strike, one for each year Mr. Dos Santos has been in power, may open the doors for a peaceful transition few thought it would be possible. As Luaty Beirão action has demonstrated, and contrary to what many people in Africa still believe, ideas and non-violent action can change the outcome of a country. Angola’s superficial veil of respectability and commitment to democratic values has been lifted and its true nature has been exposed. The international community should take note. Year 2015 marks the celebrations of the 40 years independence of Angola from Portugal. Let us hope that Angola, and Angolans, have something to celebrate in addition to having put their colonial history behind them. Hopefully, Luaty Beirão and all his fellow prisoners of conscience, will be free and celebrating a new dawn in Angola. One where true democracy is making the scene.